Living Lou: Meatless Monday's are back... with Potato Soup! Meatless Monday's are officially back here at Living Lou! So be ready... every Monday a meatless, vegetarian meal will be coming your way! They can be anything from salads, to soups, to pastas! And the best part is that not only is it good for your body to eat less meat, but it also benefits the environment! Ah... fall is in the air! Autumn, or fall, is definitely my favourite season... When I think of fall I think of; soup, snuggling in front of the TV as all of my favorite shows come back, Thanksgiving and of course fall fashions! 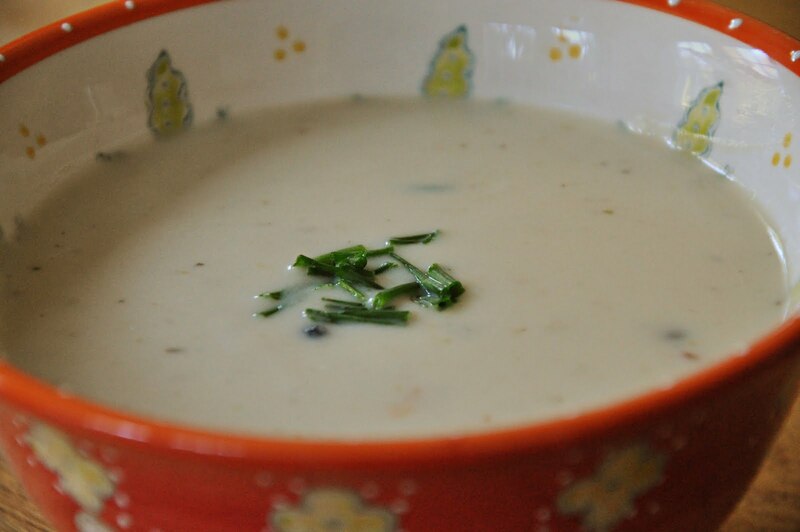 Once done cooking, using an immersion blender, puree the soup to your desired consistency! If it's too thick, add some water. Grind in some freshly cracked pepper to taste.